Pursuing external innovation can be difficult within an organization, as many lack the team and tools to do so. Corporate Venture Capital can spur an organization’s growth by opening doors to new technologies while mitigating risk. Here, we share the top benefits of Corporate Venture Capital and examples on how this can be a valuable, and, perhaps, a necessary component to an organization’s strategy and growth. In order to grow and innovate, corporations need to leverage and engage with external technologies and startups. This ultimately leads to disruptive new businesses and products. In this blog, we explore ten key points with examples that illustrate the top benefits of Corporate Venture Capital. Engaging a Corporate Venture Capital arm sets aside a team that is tasked with finding new opportunities for the company; this can involve core markets, adjacent markets, and completely new markets. By tapping into the external ecosystem, CVC helps corporations get a pulse on new technologies, competitors in the space, and what the next disruptive trends might be. Markets can often be noisy with many competitors. And, investment through CVC, particularly in early-stage technologies, can provide key insights into developing trends. Salesforce, for example, has invested in hundreds of companies through its Corporate Venture Capital arm increasing its investments to more than $500M from $27M in 2011. Salesforce is expanding its capabilities and market understanding by funding enterprise companies in order to stimulate the ecosystem of its core product. Engaging new companies through CVC is also beneficial to the startups, providing access to new partnerships, business opportunities, and guidance from large industry players. Often, Corporate Venture Capital arms invest not only for direct returns on the investment but also for strategic relevance and value to the business. Investments in startups that align with a corporation’s strategic goals enable a collaborative approach to innovating on internal workings, and, just as importantly, shaping new solutions for current and future customers. For example, JetBlue Technology Ventures, in part, focuses their investments on startups and technologies that could become suppliers to JetBlue. They target portfolio companies that not only will provide financial returns, but also aid their business goals and provide value to customers. By becoming an investor in a startup, CVC can help shape the roadmap of a company’s technology, go-to-market strategy, and product positioning. This can be beneficial as an investment can help tailor a startup to the corporation’s specific needs. Startups often pivot or change direction, and through a strategic investment, Corporate Venture Capital can collaboratively shape those decisions with key technology disruptors. By engaging with startups in the ecosystem, organizations are able to provide resources and knowledge to budding companies. This thought leadership is supported by corporate-startup relationships fostering collaboration as well as shaping entire ecosystems and industries. The benefits of a Corporate Venture Capital arm can also extend to employees internally, expanding an innovation mindset within an organization and motivating teams. Jessica Peltz-Zatulove of MDC Ventures has said that working with startups might be “the best part of the job” for those not on the venture team. The engagement with external companies can span business units and teams through collaborative opportunities. This type of thought leadership within a company can lead to a stronger innovation mindset. Corporate venture capital investments in new companies can provide autonomy from a bureaucratic, slow-moving parent company. This can enable a much more nimble course-of-action and faster decision-making. For some of the most well-known and active CVCs, such as GV (formerly Google Ventures), Intel Capital, SAP’s Sapphire Ventures, and Comcast Ventures, the decision-making process is associated with a dedicated team, rather than those that are occupied and overrun by day-to-day business operations. By doing due diligence and investing in startups, corporations can get insider information and understand the health of a company. Investments can often secure intellectual property as well as unveil the financial stability and workings of a new company. This can help inform how to best collaborate for future partnership from developing new products to determining exit strategy (such as an acquisition). By investing and doing due diligence on startup investments through CVC, corporations can better understand the valuation of the company. If a company ultimately would like to acquire a startup, this information will aid in valuing an acquisition offer and thus be able to better price the offer. Additionally, Corporate Venture Capital arms are increasingly upping their investments in startups with greater amounts. This is fueling higher valuations of these venture-backed companies. In 2018, early-stage startups had an average (median) pre-valuation of $32.3 million. This is a 29.0% increase from 2017 valuations and 30.0% valuation premium over startups that received financing without CVC involvement. Often, investors will include exclusivity rights when investing in a startup, such as barring close competitors or others in the industry from further investment or even using the technology or product. This helps corporations gain an advantage over competitors by gaining exclusivity through investment and/or having an inside track to acquiring the startup/technology if strategically relevant. 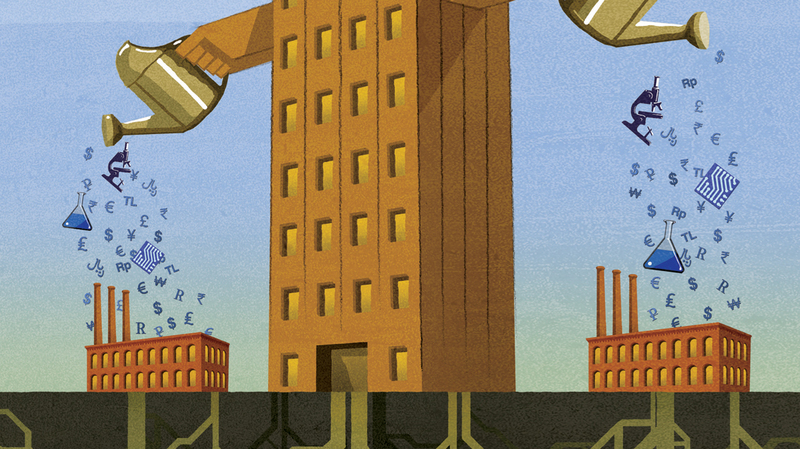 Allocating funds to a CVC arm can help mitigate the risk of capital on the balance sheet as well as enable more efficient and nimble uses of funds. Speed is critical in ever-changing industries. According to Medium, 60% of CEOs expect a tech-based, non-traditional competitor to enter their industry at any moment. Corporate Venture Capital enables faster-decision making, which can help corporations accel past long, bureaucratic processes. Ultimately, Corporate Venture Capital can allow larger, public companies to think more about long-term strategy and returns. By looking to future disruption - and not only immediate returns - corporations can keep up with and stay ahead of the curve. One can think of many examples, including Blockbuster’s lack-of-attention to up-and-coming Netflix. Companies with CVC are leveraging this for the long-term; American Express Ventures’ Dan Schulman stated, “We are looking out 10 years.” American Express Ventures is focused on disruptors in the changing landscapes of e-commerce and payments. For corporations, achieving success and growth depends on connecting and investing in external technologies and startups, ultimately leading to disruptive new businesses and products. The benefits of connecting externally through Corporate Venture Capital outweigh the costs, and it is becoming increasingly important to leverage external innovation resources. Are you ready to take advantage of RocketSpace’s innovation services and expertise to help your organization get into the right mindset? 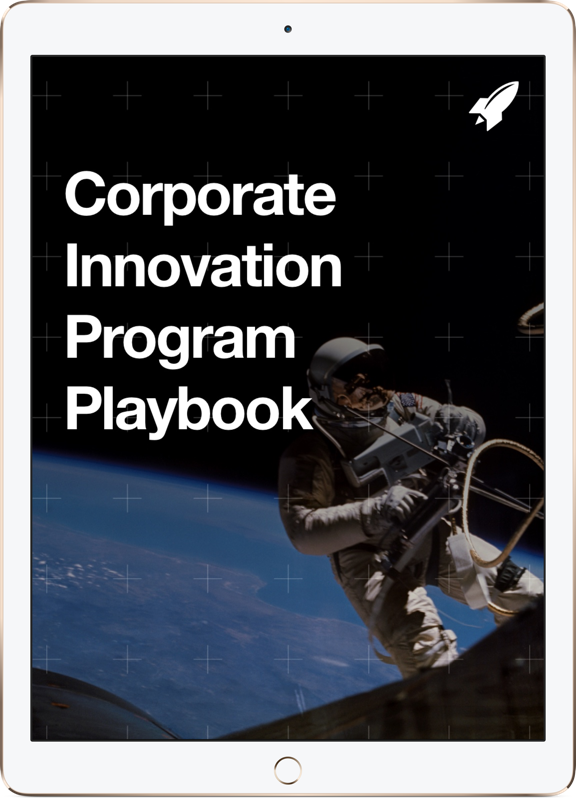 RocketSpace offers corporations with proven methodologies to not only bring tangible business value through external innovation, but also to inspire teams and change the innovation mindset of a company. RocketSpace provides speed and direction to the world’s top tech startups and corporate innovators. Learn more about how your company can implement a strategic innovation plan.